I’ve interviewed a broad range of professionals, from CEOs to cargo handlers to physicians to technologists. While our interview days are packed to the brim, they leave me energized. Every person I interview leaves an impression. And while I certainly can’t play favorites, I can say that veterans have earned a special place in my heart. Last year, I had the great honor to interview about 30 veterans. Interviewing these men and women was many things; humbling, for sure. It also served to broaden my perspective on niche recruitment marketing. Last year, 23,000 transitioning service members, veterans and military family members worked with the Institute for Veterans and Military Families, an organization dedicated to providing career, vocational, and entrepreneurial services. Other organizations focus specifically on recruiting veterans. Vet.careers, for example, provides services in connecting veterans looking for work with companies hiring. Featured jobs represent a diverse range of industries; companies like P&G, Chipotle, and United Health Care are all recruiting via this site. Tap into these or the many other groups and organizations that work tirelessly to connect veterans who are launching their civilian careers with employers who need their talents. 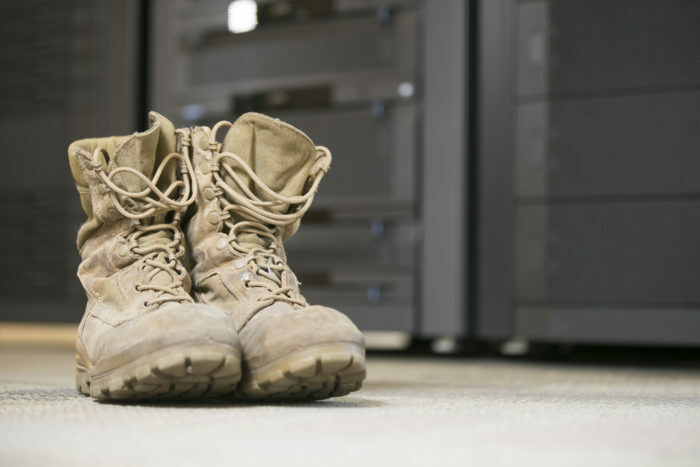 What matters most to veterans when they’re looking for a civilian job? And, how might their skills translate to your organization? What can you as a recruiter do to start tapping into this talent segment if you haven’t already? Start talking to your active service members, veterans, and spouses. In speaking with several veteran spouses at Dell, we learned how Dell’s support during times of deployment eased a challenging time. When Brittany Podolak’s husband was deployed to Iraq in 2002, she was immediately a single parent temporarily. Flexibility at work provided her the ability to keep up with her family life. When you talk to your vets and their spouses, find out if they use the formal supports you may have in place. What do they like about the supports? What could you add or improve? Are there untapped benefits? Can you shift resources around to allow for new programs? Beyond the formal programs, how does their team support them? What effect do both the formal and informal support have (both are important)? Cherry Lynch, who also works at Dell, shared that her team phoned her into meetings while she was serving in Afghanistan, and sent her so many care packages that she actually started giving them away to her friends who were not receiving the same level of support from home. Her story was typical of several of the veterans we spoke with who were truly supported during times of deployment. These stories are powerful and provide candidates the perspective they need to see: that they will be important, valued team members. Connect current veterans who work at your company with candidates and new hires. Fostering mentoring relationships and creating employee resource groups are vital to the military-to-civilian transition. Are you seeing resumes from veteran candidates that could use some help? Can you provide that help? Marcus Thomas, a consulting firm, among other things, actually started a Twitter handle dedicated solely to providing all candidates with feedback about what they could do differently, including providing links to jobs they might be matched to, even if it was with a competitor. JPMorgan invests in Bunker Lab, a program that addresses veterans’ search for excitement and growth outside of a typical 9-5 job by encouraging retired military to start their own businesses. How might your organization benefit from entrepreneurial skills a veteran has? Are there fast-paced or exciting opportunities that might be geared toward veterans? Veterans receive state-of-the-art training and have to learn to think on their feet and make clear decisions in high-pressure situations. This video with Sodexo features veterans discussing how their military backgrounds lend themselves well to their jobs — from managing a kitchen to working on medical equipment. Be mindful of how military training could translate into your organization. Step 5: See an opportunity to help? Provide it! Recognize that while seeing specific military experiences on a resume might not be an obvious fit for the corporate world, skills can and do translate, as explored in the above example. That said, what opportunities do you have to provide a personal touch to veteran candidates, should you have suggestions to improve their resumes? Organizations like Bradley Morris provide extensive services. It’s also likely that your current veteran employees could be a great group of ambassadors to reach out to veteran candidates to provide some coaching. Think about the impact a coaching session would have to both boost the candidate’s likelihood to be hired and improve your employer brand? If the personal touch is not feasible, ask your veteran employees if they can share stories about their own job searches that could help candidates and share that information freely with candidates. All companies can do something specific to contribute in recruiting this niche talent segment. And, once you do, imagine the stories this new group of candidates will share. Caroline Kangas is a content strategist with Stories Incorporated. She has partnered with clients such as Dell, CVS Health, Custom Ink, and more to create authentic content that amplifies the story of their employer brands. She brings a perspective that is inclusive and celebrates the positive. She has blogged for Stories Inc., and for CultureIQ and presented at DisruptHR. Prior to joining Stories Inc., she worked at Allstate Insurance Company for 13 years in a variety of roles, most recently in technology and operations communications. She earned her Bachelor of Science in Communications in 2001 from Ohio University.